A number of trees and shrubs naturally form a well-branched framework. 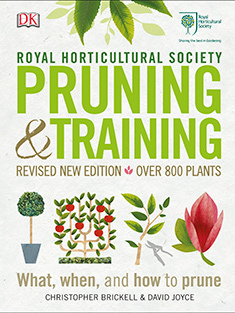 They require little or no pruning and in fact may be spoilt by harder pruning. Such plants fall into RHS Pruning group 1. This pruning method is suitable for certain free-standing evergreen and deciduous trees and shrubs which do not send out vigorous shoots that need curbing. These plants flower on the previous or current year's growth. Prune in late winter or early spring. Some deciduous trees and shrubs, such as birch (Betula) bleed if pruned in late winter. To facilitate rapid healing of cut surfaces, prune these in late summer or early autumn instead. Deciduous magnolias are also pruned in late summer to reduce risk of dieback. Deciduous azaleas and lilac (Syringa) should be pruned immediately after flowering. No routine pruning necessary. Remove diseased, damaged, congested or crossing shoots. Shoots that are growing in unwanted directions can also be pruned out. After pruning, mulch and feed. Look out for the following problems when you are pruning: bacterial canker, bracket fungi, coral spot and verticillium wilt. Non-flowering is also a problem experienced on occasion by gardeners.